Now that I’ve had a bike for a season, I have a much better idea of what kind of motorcycle I really want to ride. As much as I enjoy my CB650, I want other things. It’s not you, it’s me. So the bike is up for sale. You can see the craigslist ad here. What I’m looking for is a Yamaha XS650 or a “naked” Honda GL of a similar vintage. Fundamentally, I want either a torquey twin or something that fits my large frame better than these midsize bikes tend to. I want to build a custom. Either a cafe racer (from the XS) or a hybrid cafe/bobber (out of a GL). 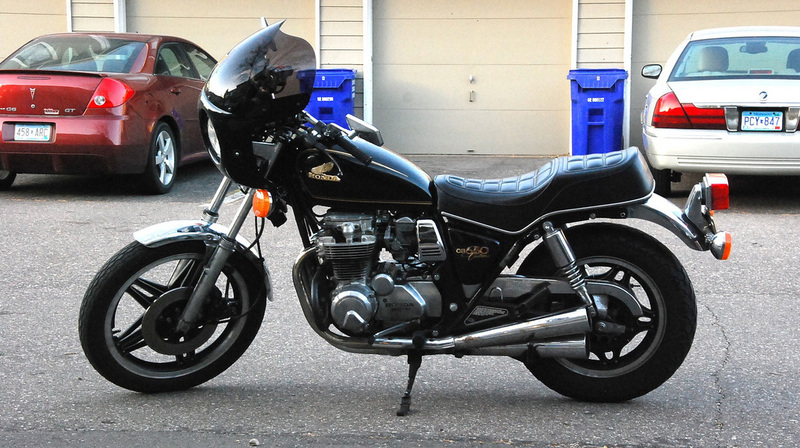 The CB650 is not a great platform for what I want to do. Meanwhile, the XS650 is basically Yamaha’s version of the Triumph Bonneville, and the GL is a big bike with a lot of possibilities. So that’s where I want to start.